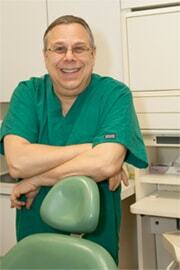 Dr. Michael Gelbart founded Family Dental Group in 1980. The concept then was the same as it is today: provide sophisticated, comprehensive, quality dental care for everyone, in a caring and loving environment. That is why the dental centers are staffed by general dentists and a range of specialists, and all services can be provided in one location. The philosophy of Dr. Gelbart is to have a staff that loves their work and their patients. Children are always welcome, as well as people of all ages and disabilities. Each dental center focuses on patient comfort, in their pleasant and modern offices, located in Brewster, Fishkill, Jefferson Valley, and Newburgh. We also have affiliated offices in Lake Katrine and in Yonkers. We participate in most dental insurance and discount programs, and offer our own low-cost payment plan. Nikole is a great hygienist. She educates me at every visit. I feel very comfortable with her and always feel like my teeth are at their best with her! Fast and everyone was kind. Was my first cleaning with the practice and my best one ever. The care when taking X-rays was also appreciated. Switching my entire family. I think Lesia is an amazing hygienist. She is very thorough and never causes any pain! Always a pleasure going to Family Dental. Dan is a wonderful hygienist! I had a cleaning done with Star. She is one of the best hygienists I have ever been to. The whole office was pleasant and I enjoyed my experience. Always have problems with dentist, and I explain it to them. .this time I went to Family Dental in Newburgh, and that was awesome, i didn’t felt anything. Was good visit ,Thank you!! !